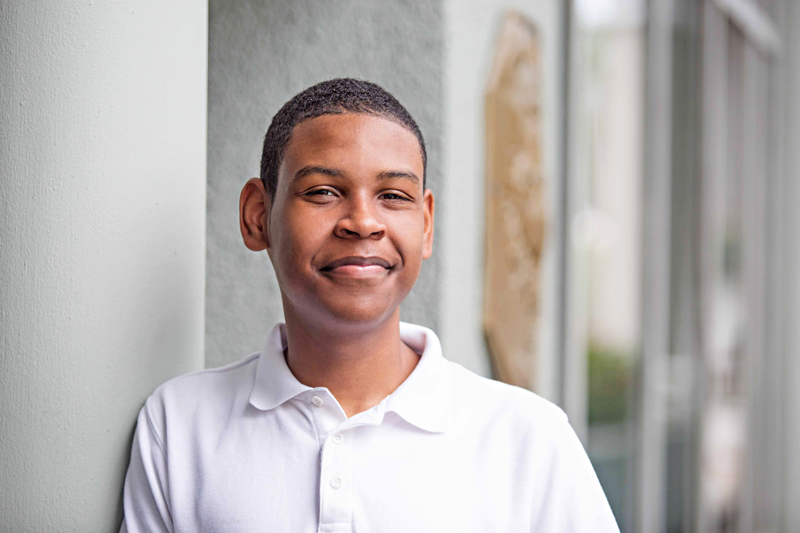 Jordan Simmons-Trott is the 2016 recipient of Conyers Dill & Pearman’s $5,000 Leadership Scholarship Award, which is awarded each year to a graduating CedarBridge Academy student who exemplifies leadership abilities through practical experience, personal reflection and community involvement. “At just 18, Jordan is a highly accomplished individual. He is a natural leader, currently serving as Head Boy at Cedarbridge where he has a number of responsibilities, including assisting students throughout the school day and representing students at various meetings and events,” CD&P said. “Jordan is a talented musician with several achievements behind him. Most recently, he was awarded with the “distinction of performing” as a representative of the school band at Disney World in Florida. He also conducts the school band and carried out his responsibility at a recent school event. “Further, Jordan is a community advocate, where he mentors and tutors students, helping them to improve their academic performance, as well as volunteers his time for a number of causes and events that take place around Bermuda. Lisa Spencer-Arscott, Head of Human Resources at Conyers Dill & Pearman, said: “Jordan’s achievements in the classroom and in various leadership activities have brought him this honour. The legacy that he leaves at CedarBridge is apparent. “We are confident he will contribute to the Mount Allison community and continue his academic and leadership development in an outstanding manner. He has a very bright future ahead of him”. Congrats young man!!! Keep up the good work! Congrats mate! keep it up!